What’s new and what’s true? 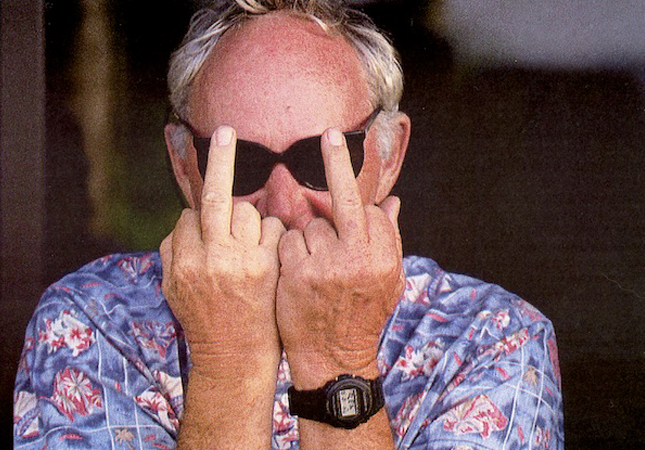 One of the best things about surfboards is their future nostalgia. Nostalgia is the feeling of craftsmanship, attention to detail and traditions of the past that the industry has built and continued to build on. CNC cut boards can’t finish their own shape and glass themselves, so they take skilled craftsman/shapers to finish the job. 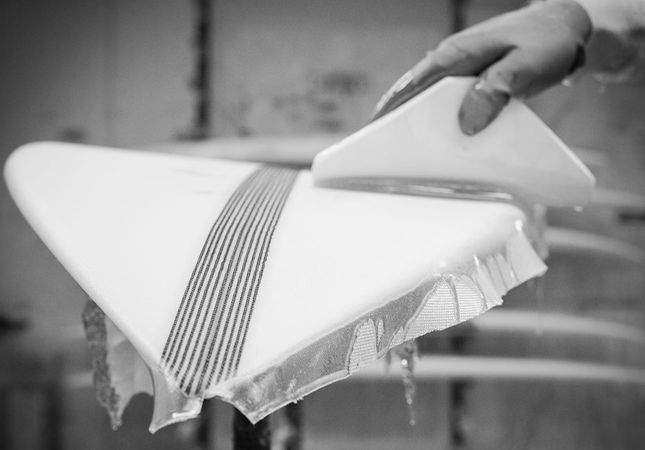 Future looks to the future and means that the possibilities in surfboard design are endless. There’s no end to what can be done. Future Nostalgia encompasses both of these ideas which are constantly in play within surfboard design. Australian shaper Dan MacDonald of DMS Surfboards explains how his knowledge of hand-shaping is essential to developing skills using machines to cut boards. New designs and experimentation with materials doesn’t happen without some knowledge of the past. An understanding of the history behind surfboards is important. Looking back you can see that the biggest impacts on designs have generally come from the shapers with a great understanding and knowledge of surfing and shaping history. Adding to that, they have generally also had a deep understanding of things outside of surfing that has led them to their breakthroughs in design. A DX1 by DHD Surfboards getting some close attention. In the late 1930’s, Tom Blake looked to speedboats and introduced a metal Skeg that was around 12 inches long and 4 inches deep to give him more control of his board. Not long after this, Bob Simmons started experimenting with bottom contours and twin fins. Simmons looked at Blake’s innovation as well as finding outside influences from Lindsay Lord’s writings on naval architecture and hydrodynamics for his planning hulls. Through experimenting with different variations of singles, twins, bonzers, widow makers (and many more) we eventually landed on what is now seen as the industry standard for most shortboards. The thruster. Introduced by Simon Anderson. It was by looking at both the innovation from surfing’s past as well as looking at outside sources that led to surfboard development. 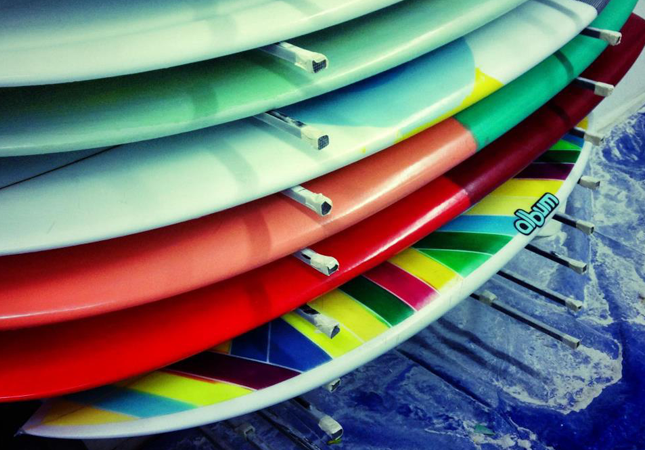 A little color and a whole lot of shaping in the Chemistry Surfboards factory. In many ways, we find surfboards are similar to sailboats. These may not be the best performance crafts, however surfing and sailing aren’t just about high performance. They’re also about aesthetics and feel. Both surfboards and sailboats have had plenty of advancements and are going to continue to develop with the use of new materials and constructions. There are always going to be shapers that want to keep to the nostalgic aspect of surfboard shaping, just as there is always going to be ones constantly pushing the limits of performance. One thing is for sure, there will always be a market for both. The best thing is, more and more shapers are finding ways of blending the two together. 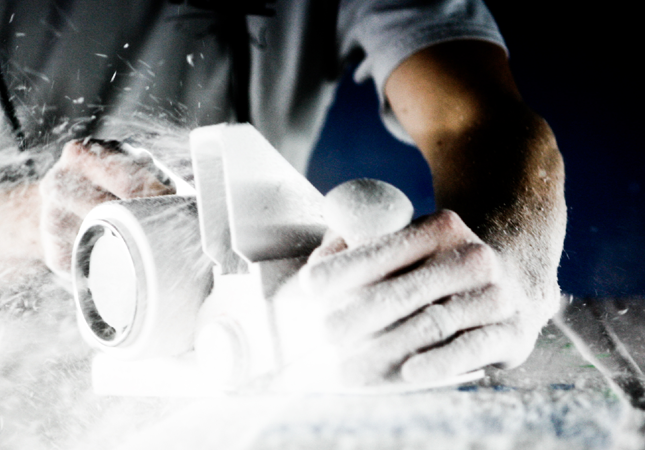 The outcomes show the fantastic, well rounded craftsmanship these shapers possess. A fresh stack of Album Surfboards with some funky artworks. There are also brands that concentrate mostly on high performance surfing. These guys play their own role in pushing the limits of design. Using feedback from elite level surfers, they can design new models for elite level competition as well as refinements for the average surfer. Mick Fanning putting his Darren Handley Designs Ducks Nuts Replica to the test. While they definitely advance surfboard design and performance, they can sometimes be too busy themselves to check out new materials and experiment. A lot of the time, it is the smaller brands are trying new things to make a name for themselves and differentiate their brand. If they’re lucky, their experiments will sometimes be adopted by the masses. Founder Gordon “Grubby” Clark of Clark Foam. Photo: Art Brewer. 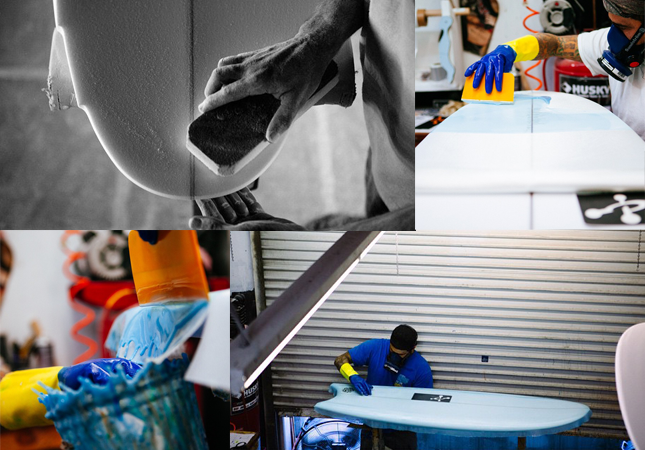 Lots of people suggest that one of the largest reasons in recent times for the advancement of surfboard design and materials was the closure of Clark Foam in 2005. This left a number of brands high and dry with most having orders waiting, without the blanks to make the boards. Forced to look into other options, the industry really started looking closer into epoxy boards. Some shapers had already been using EPS and Epoxy resins, before the end of Clark Foam, which made the transition a little easier, but this shock gave lots of others that push they needed to get on board too. While there have always been the guys who experiment, the surf world is unfortunately a hard nut to crack with many people afraid of trying something new. If what they try does work, it then comes down to a supply and demand issue with affordability and availability major issues for people who would need to pay a premium. 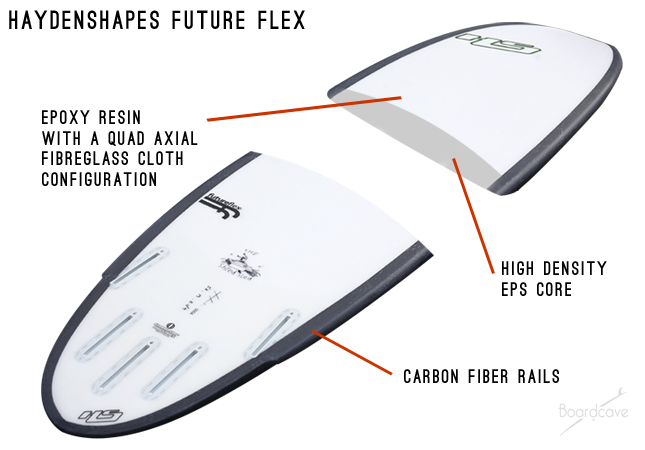 Shaper Hayden Cox of Haydenshapes produces Future Flex, a technology shown above on a Shred Sled model. You can see this in boards being made with sustainable materials. These technologies have been in place for a little while now but are still only slowly being adopted in a wider sense. A bio based Epoxy Resin called Entropy Resins uses tree sap instead of petroleum based ingredients, using a renewable source and less energy in production. Entropy resins have been used for over 6 years now but only recently have people really gotten involved with it. Marko Foams’ recycled EPS is in the same situation. Surfboards that use these constructions perform just as well as PU/PE constructions, so why wouldn’t you change? For one thing, they are more expensive. This is mainly due to a lack of demand and a high cost for the raw materials. Some argue, however, that these costs can be leveled out over the lifecycle of your board with many lasting longer than traditional constructions. Getting right into shaping a nice little Nation Surfboard design. Companies like these didn’t started their business solely to make a profit from the surf industry, but rather to change the way we see and use surfboards. These experimentations have led to other companies working on other sustainable solutions like completely biodegradable blanks, or using algae as an alternative to PU. Some people are even experimenting with mushrooms as a surfboard core (although there have probably been plenty of designs both good and some questionable that have come from other mushroom use as well). Obviously though, none of these will succeed unless the new constructions exceed or, at the very least, match the standards of what’s being used today. 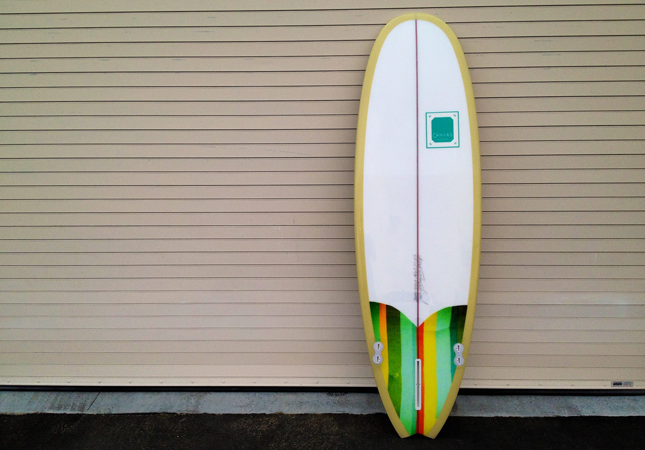 A nice little Canvas Surfboards model with plenty of style. The Best Part… The best part? These materials are being produced and starting to be used! They’re also reaching high standards and by adding them into the mix with traditional methods when creating new combinations and designs, you can see how the possibilities are endless. Blending some of the old and some of the new, you can see how the future nostalgia of surfboards is an ever changing thing. Share your thoughts and experiences about surfboard shaping in the comments below! To keep up to date with The Surfers Corner latest articles, make sure you follow us on the Boardcave Facebook Page and on our Boardcave Instagram.